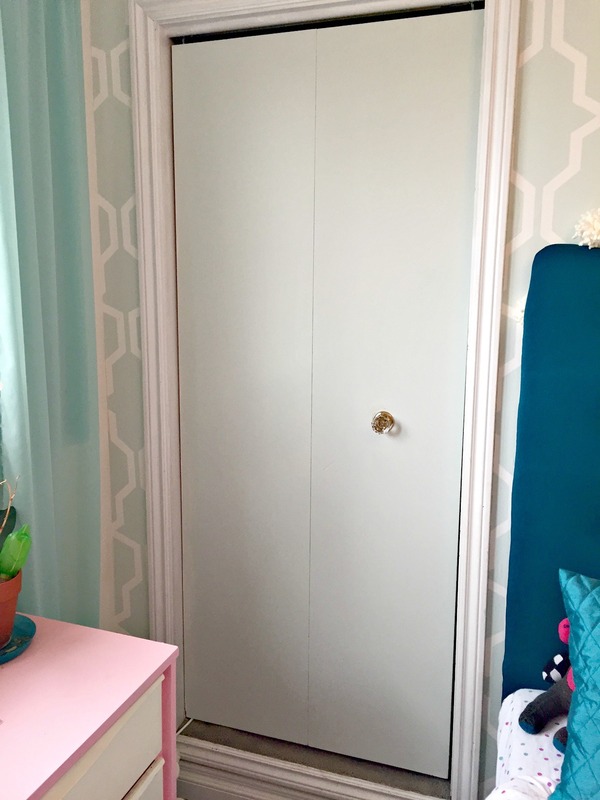 Week 5 of the One Room Challenge is here!!! It has been a whrilwind, and I’m so close to finishing, I can almost taste it. 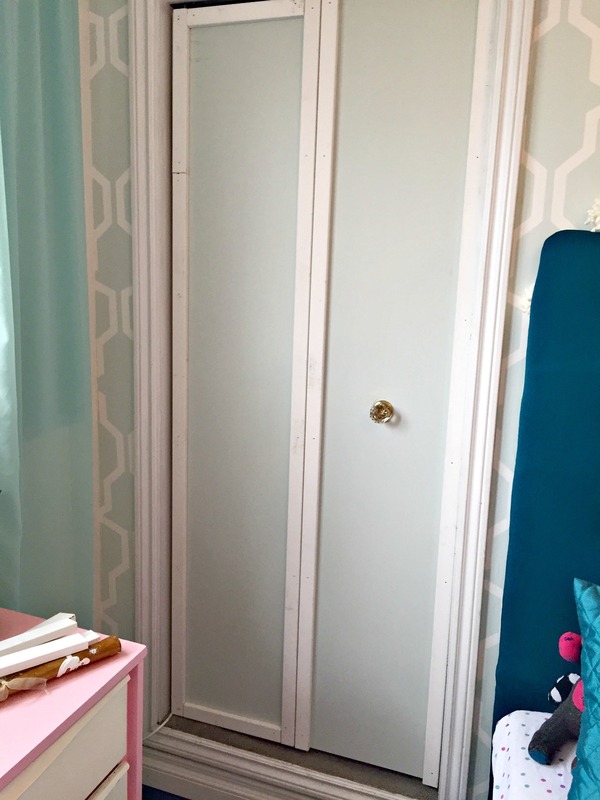 Okay, so I’m a tad late with my week 5 update, but I did have a crazy busy week last week and I’m glad this closet door makeover project is finally complete. 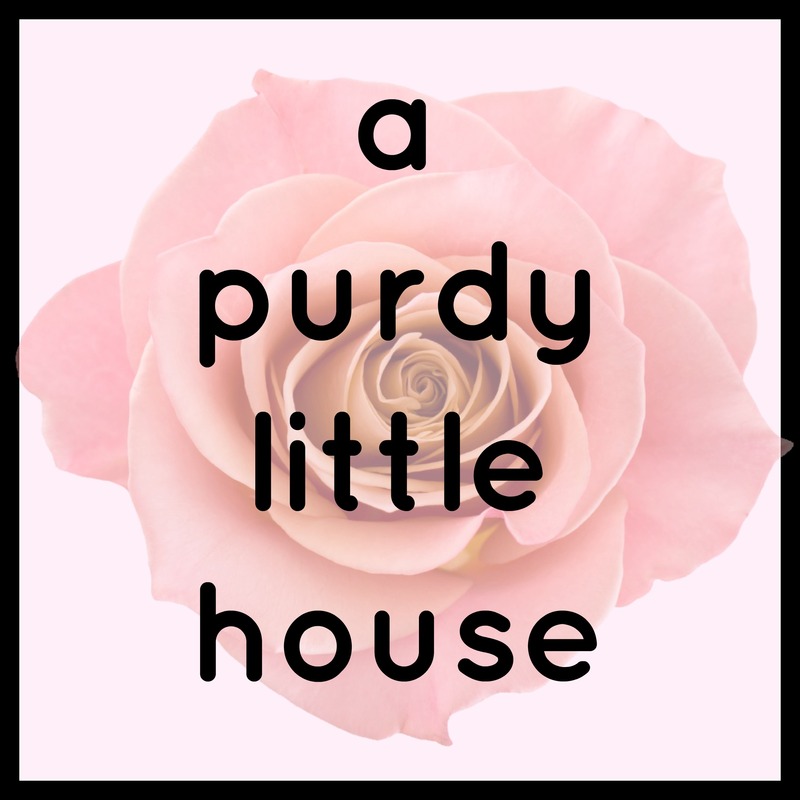 Thank you again to Linda from Calling it Home for hosting this amazing bi-annual challenge. Please check out some of the 200+ rooms that are being transformed in the One Room Challenge by other bloggers. 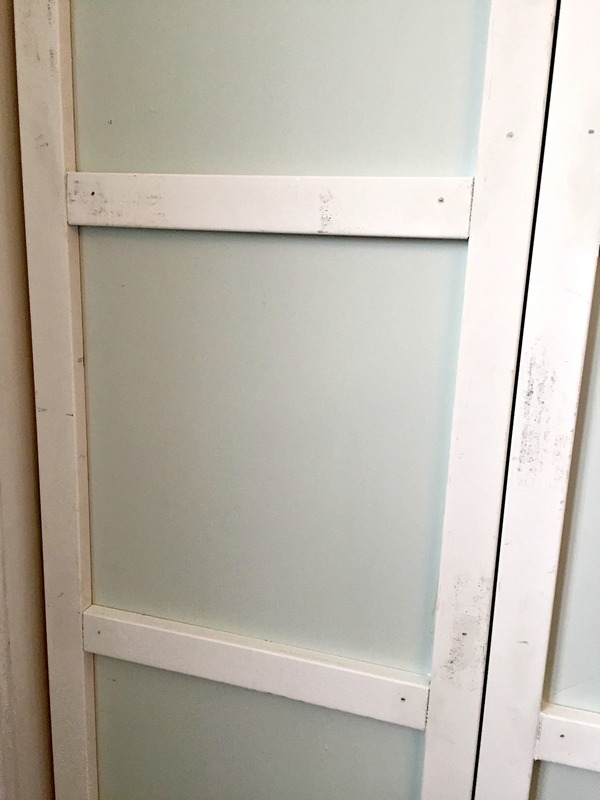 Here’s what my daughter’s closet door looked like after Week 1 of this project. 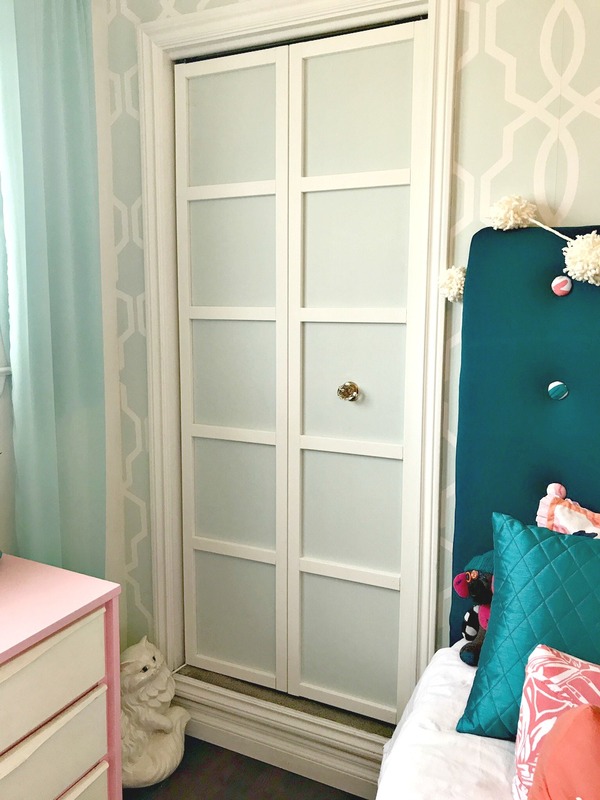 It’s a raised closet, which makes it kind of fun, but I felt like the plain white door looked very odd next to the pretty trellis wallpaper. 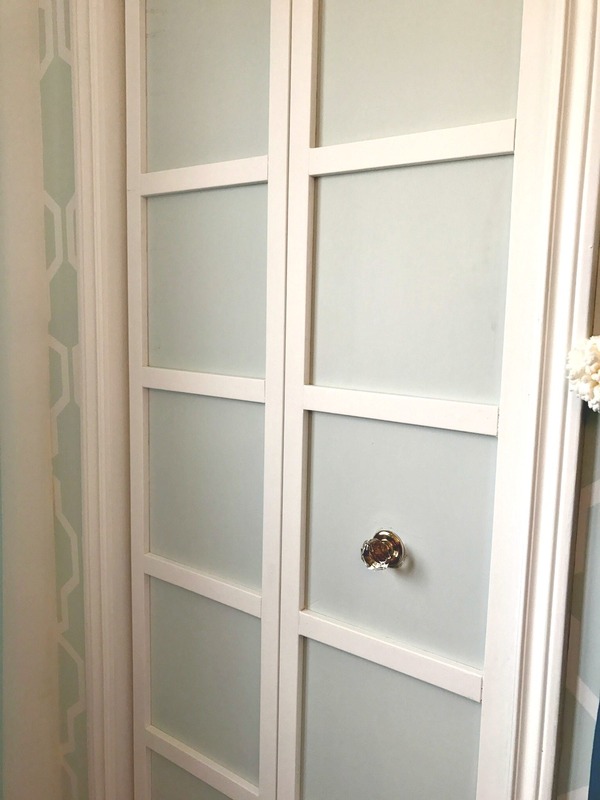 To try to make the closet door look like it blended a bit more, I decided to paint it using the same mint colour that’s in the wallpaper. Yawn…. it just wasn’t doing it for me. So, how about adding some trim? I picked up 3 six foot pieces of MDF at $3 each and they ended up being just enough for what I needed. I started off with the side pieces, while making sure I could still open the bi-fold closet door. My MDF boards were pre-primed, but were looking a bit yucky. 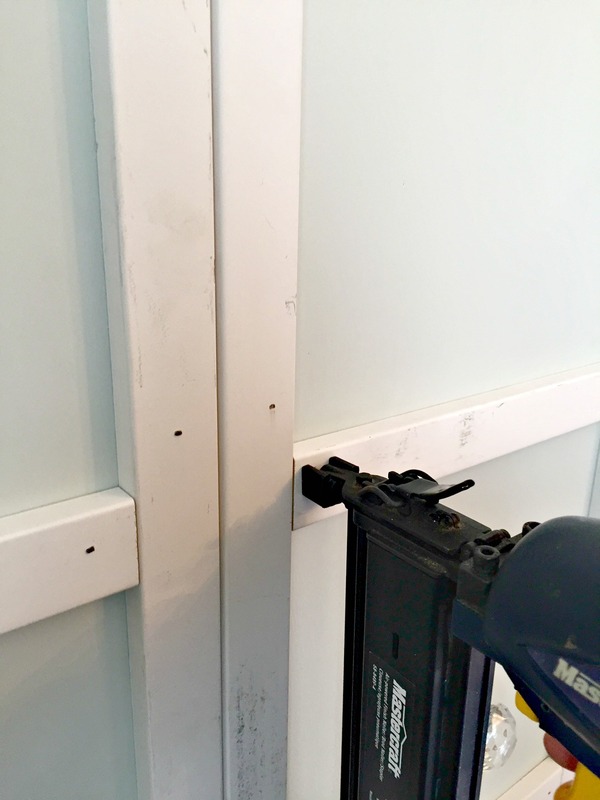 After I filled in all the gaps and tiny holes using caulking, I painted all the trim in the same colour as the walls. I had some leftover paint, so this was a no-brainer. The total cost of this project was $9.00 since I used paint I had on hand. What a great idea! It makes such a difference. I absolutely love the color and that latticed wall! Wow, what a huge difference for just a little bit of money! Definitely pinning for later 🙂 Can’t wait to see the reveal! Gorgeous, and a wonderful idea. Thanks for sharing.